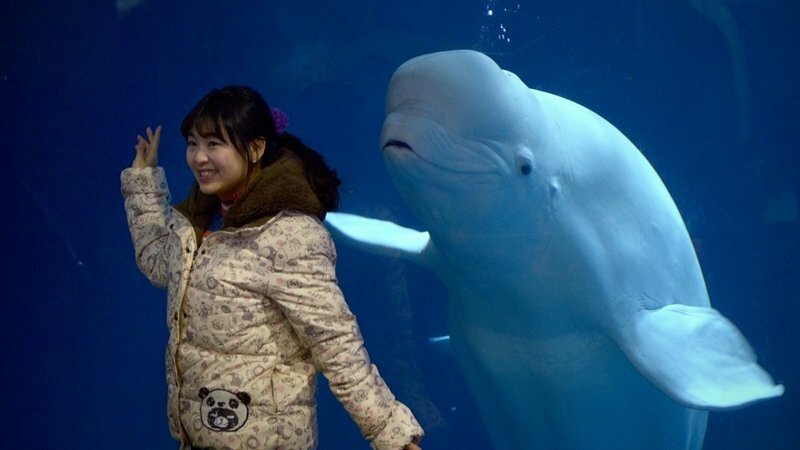 UNITED KINGDOM: Two beluga whales performing in a Shanghai aquarium are to be flown to a new sanctuary in Iceland, giving hope to more than 3,000 captive cetaceans as the popularity of marine shows wanes. Little White and Little Grey will be taken next year from Changfeng Ocean World to Klettsvik Bay, organisers told a press conference at the Sea Life London Aquarium on June 26. But the founders said it will give them a better life – and help research into how captive whales could one day be prepared for release out of human dependency. Originally from Russian Arctic waters, it is thought they were two or three years old when captured. They weigh around 900 kilograms and are around four metres long. The bay, which is leased, measures up to 32,000 square metres with a depth of up to 10m. Klettsvik is where Keiko, the killer whale in the 1993 film “Free Willy”, was flown to in 1998. The orca was fully released in 2002 but did not fully adapt to life in the wild and died 18 months later in a Norwegian fjord. “There is a real alternative now for these animals,” Bool said.